Prof. Daniel Delahaye is doing research on Air Traffic Management since 1992. 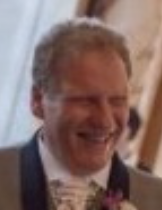 He obtained his engineer degree from the French Civil Aviation ENAC School and did a Master of Science in signal processing from the national polytechnic institute of Toulouse in 1991. He obtained his PhD in automatic control from the aeronautic and space national school in 1995 and did a Post-Doc in the Department of Aeronautics and Astronautics at MIT in 1996 with Prof. A.Odoni. 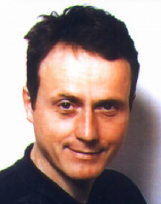 He got his tenure in applied mathematics from the University Paul Sabatier in 2012.He is now the head of the optimization group of the Applied Mathematic Laboratory of the ENAC school and is conducting research on stochastic optimization for airspace design and large scale traffic assignment. He developed many optimization algorithms for ATM applications (Large scale 4D trajectories strategic planning, Pre-tactical 4D trajectories planning, 3D airspace sectors design, Dynamic Airspace Configuration, SID-STAR design, Sequencing and Merging, Taxiing optimization). Since 2004, he focuses his research on infinite dimension space optimization using basis reduction tricks (wavelet, spines, PCA, etc...). He applied such approaches on trajectory design at the strategic, pre-tactical and tactical levels. 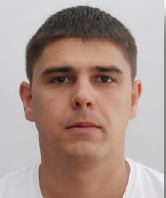 Andrija Vidosavljevic graduated from the Faculty of Transport and Traffic Engineering, University of Belgrade (UB-FTTE) in 2007 in the field of Air Transportation. He received a PhD at the Division of Airports and Air Traffic Safety from UB-FTTE in 2014. He has been working as research and teaching assistant at Division of Airports and Air Traffic Safety since September 2007 until December 2013 where he was engaged in labs (ATC, CNS, and Meteorology) and in many national and international research and professional projects. He is currently post-doctoral researcher at ENAC in the Laboratory of Applied Math with Prof. D. Delahaye. The most important projects are: EC FP6 Reduced Separation Minima (RESET), EC FP7 METROPOLIS, SJU Airspace management (ASDAC). His main area of interest include ATC/ATM Modelling, Air Traffic Complexity Modelling/Analysis, Air transport operations planning, design, analysis, modelling.